I've got it bad for Uniqlo these days. 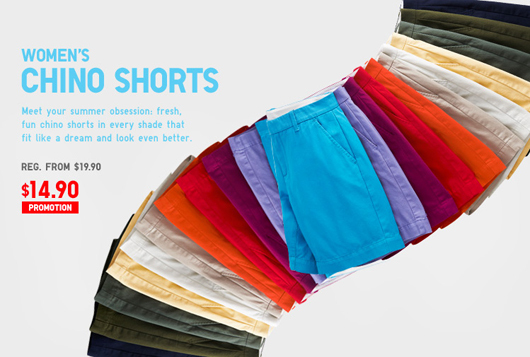 They entertain me with haiku for error messages, and they tempt me with emails full of tiny, colorful chino shorts. Previously $19.90, now $14.90. Shop the 34th Street Uniqlo and stock up, because Uniqlo is taking over the world one chino short and haiku at a time.